The DrillCover S is intended for use with surgical drills. Extend the life of your surgical drill and reduce turn around time. Learn more today. A liquid and pathogen proof sterile enclosure envelopes your non-sterile drill and fully seals the power transmission adapter through the sterile barrier. The adapter engages with your drill on the inside of the cover and has a non-cannulated 3-jaw chuck on the outside. The DrillCover S System is suitable for simple non-cannulated drilling and driving of short K-wires, steinmann pins or external fixator pins. An optional AO quick connect attachment may be added for quick exchange of AO type drill bits. The drill’s original K-wire collet (driver), reamers and other attachments cannot be used with this system. 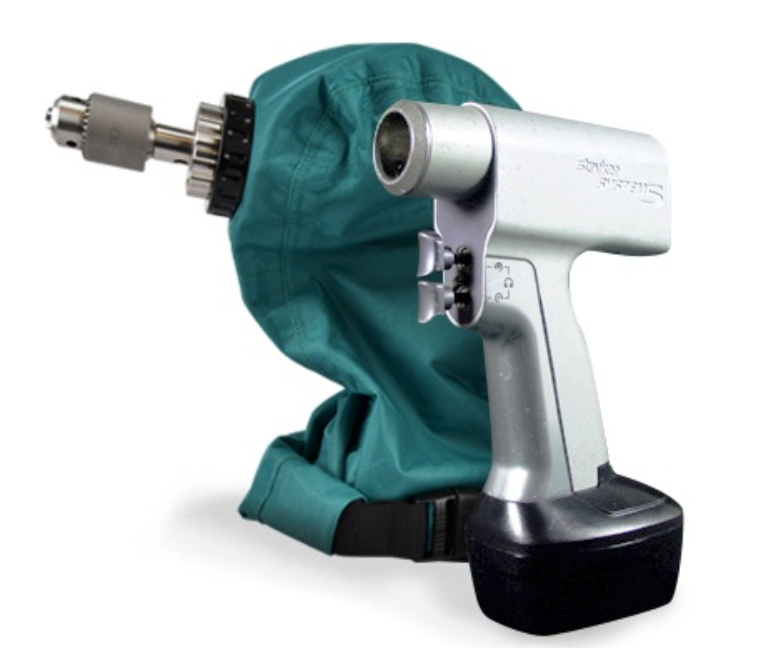 The Arbutus Medical DrillCover technology considerably extends the life of your orthopedic drill’s electric motor and battery. High temperature and humidity of autoclave contributes to deterioration of electrical and electronic components and determines the life of your drill far more than the actual use during surgery. Protect your investment by sterilizing DrillCover S rather than your expensive drills and batteries. DrillCover S also allows you to own fewer drills. Multiple DrillCovers allow a busy hospital to perform back-to-back surgeries with a single drill by simply replacing the battery with a fully charged one and loading the drill into a new sterile cover. 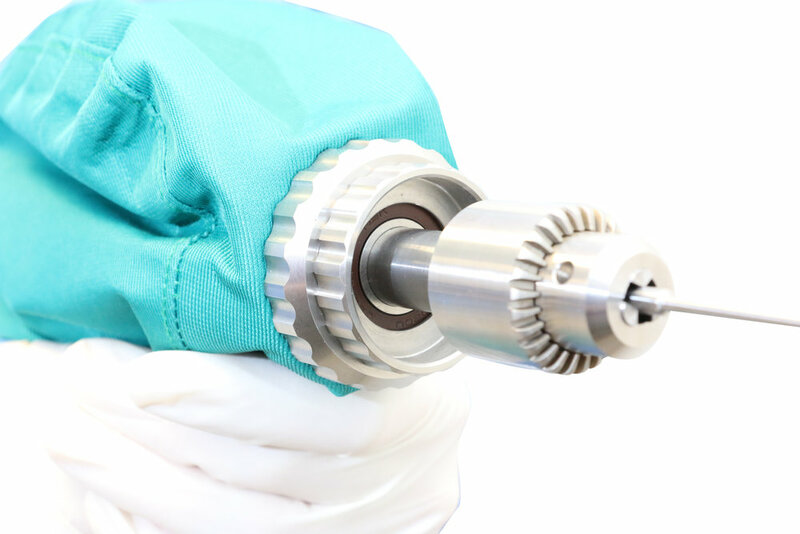 * For hospitals/clinics performing 2+ orthopedic cases / day, we recommend additional DrillCover S linens and 3-Jaw Chuck Adapters. 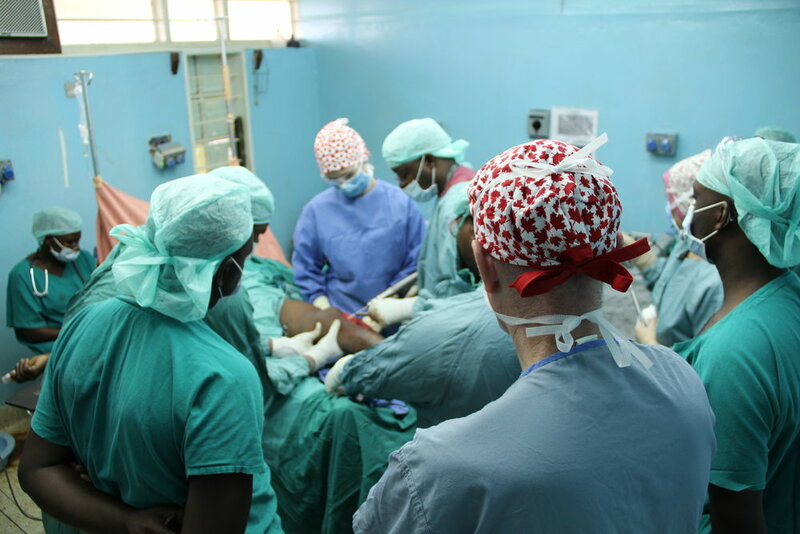 This allows you to perform multiple back-to-back surgeries with a single drill, simply by replacing the linen and 3-Jaw Chuck between patients.